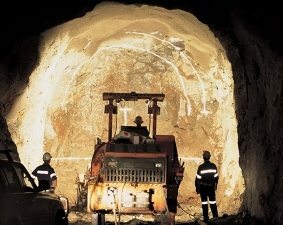 [miningmx.com] – CNMC Luanshya Copper Mines, a Chinese company operating in Zambi’s copperbelt, followed Zambian law when it closed the Baluba mine sending more than 1,600 workers on forced leave, said Reuters citing the company. “As a law abiding corporate citizen, we have always followed the Zambian laws,” CNMC Luanshya Copper Mines spokesman Sydney Chileya told Reuters in a statement, adding that it did not plan to make employees redundant. Zambia had threatened to revoke Luanshya’s mining licence if the company did not reinstate workers, said Reuters. A slide in global copper prices has put pressure on Africa’s second biggest producer of the metal, with export earnings depressed despite the kwacha’s slump against the dollar this year, the newswire said.